Tonight Adelaide Food Central was invited to Movenpick to sample their new Matcha Waffle Cones. Matcha is traditionally used in Japanese tea ceremonies and is widely known for its health benefits. The green tea plants are grown in the shade for around 3 weeks before it is harvested. Whilst the plant is being shaded it produces theanine and caffeine. Both these elements are associated with being calm, which is how one might feel when drinking matcha tea. The matcha plant is now being used throughout many different products in the world. 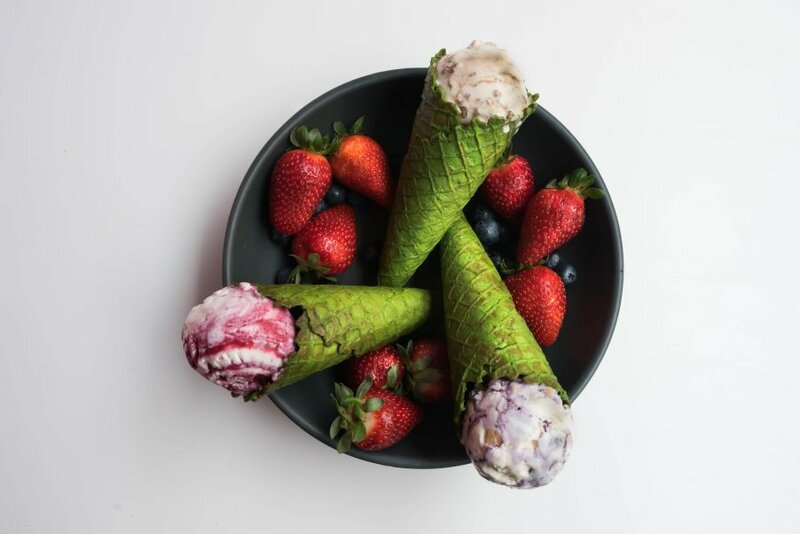 The matcha waffle cone has a luminescent green coloured outing and a crispy base. At first bite the cone has a subtle almost bitter taste and then followed by a sweeter flavour. The cone pairs extremely well with the 25 Movenpick flavours that the dessert bar provides. I sampled the matcha cone with a Belgian chocolate flavoured icecream. The rich and chunky ice cream paired very well with the light flavour of the matcha cone. Not only were we lucky enough to sample the new cones, but we also had the chance to make our own. The staff at Movenpick guided us through the waffle cone procedure, teaching us how to bake and then twirl the cone into shape. To my surprise my matcha cone shaped fairly well. We would love to thank the team at Movenpick for taking us through the matcha cone process and providing us with their delicious products. 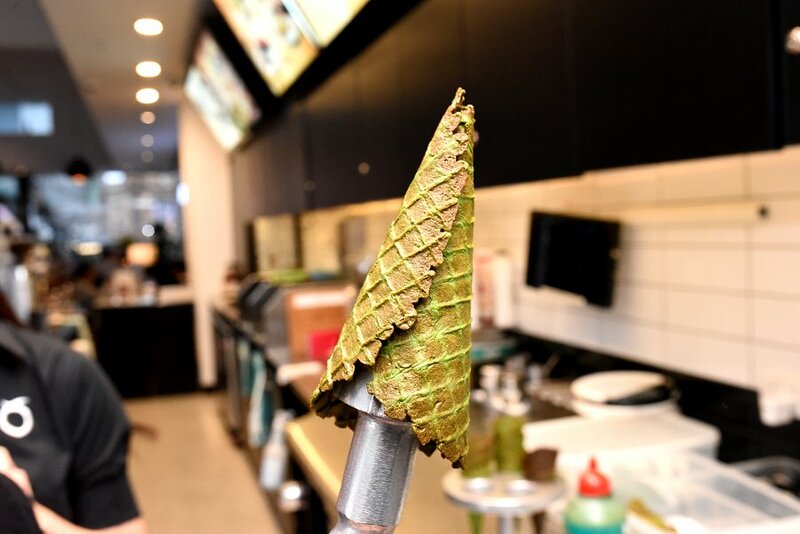 We highly recommend checking out their matcha waffle cones, which will be in stores for a limited time.